The Barratt, an aborted 1915 attempt to built a British version of the German Stoewer Record. 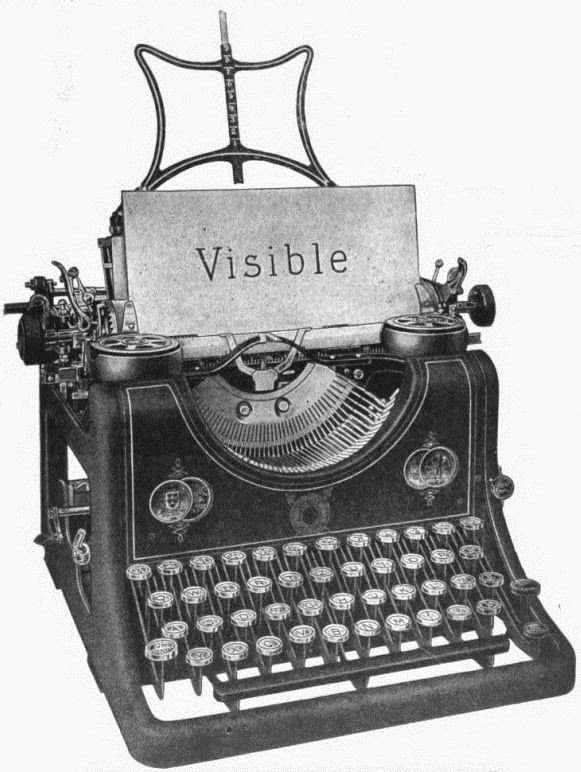 Just before the outbreak of World War One, 100 years ago this month, Charles Spiro’s Columbia Typewriter Manufacturing Company decided to end production of the Bar-Lock in the US and sell all its patents, trademarks and tools to the (British) Bar-Lock Typewriter Company, makers of the Royal Bar-Lock. 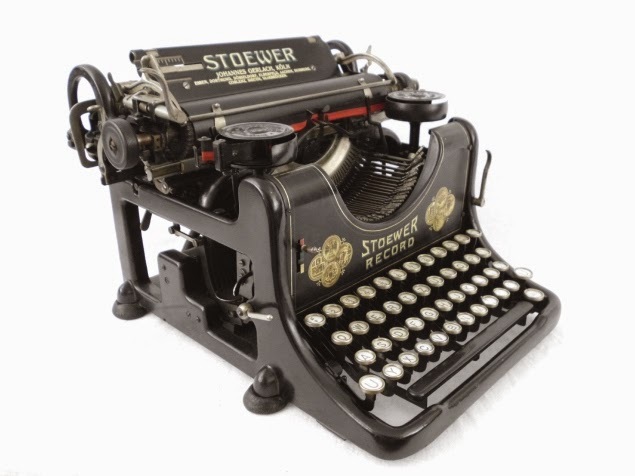 However, the British company, run by William James Richardson (1863-1949) and his sons Donald Southwell Richardson (1888-1972) and Conrad Richardson (1891-1937), had recognised downstroke typewriters were outmoded and had no intention to continue making them beyond 1914. 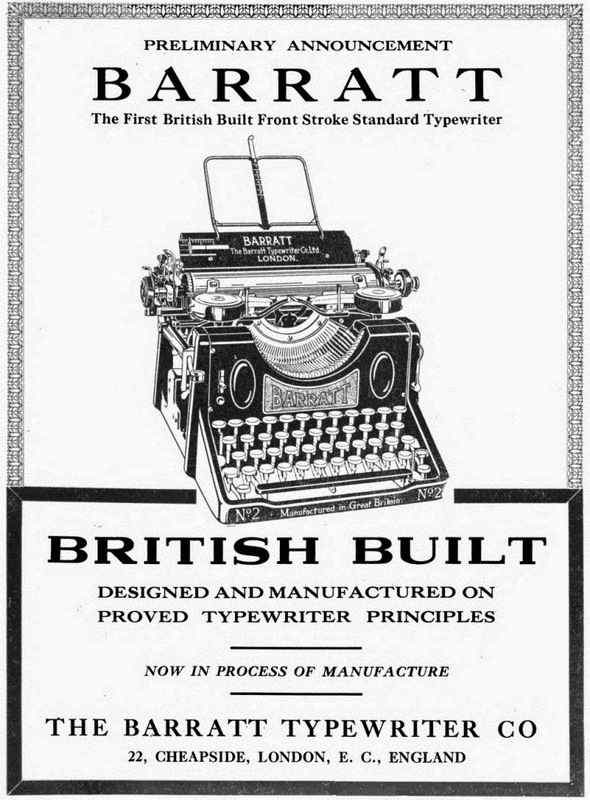 Upon becoming aware of these plans, the Rimingtons, arch British typewriter industry rivals of the Richardsons, hatched their own scheme - to produce the "first British built frontstroke standard typewriter". 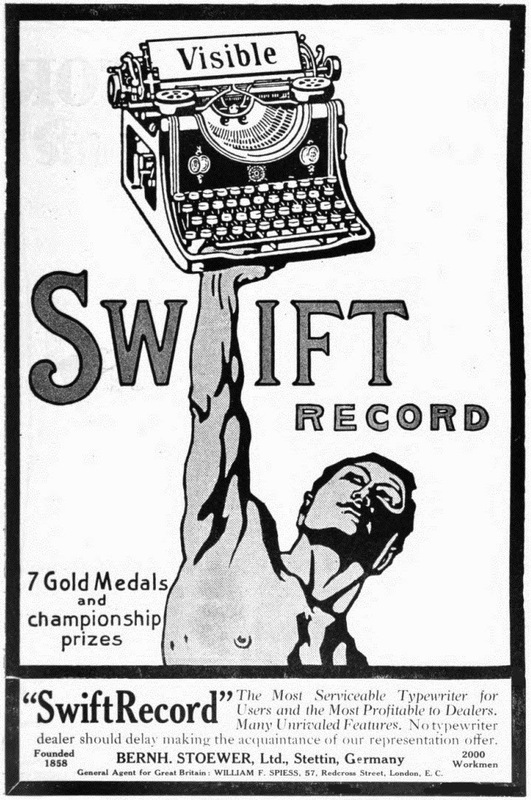 Trouble was, it wasn't a British design - it was to be no more than a British version of the German Stoewer Record (aka the Swift), launched in an updated form in 1912. It was in part to be backed, according to Typewriter Topics, by the British Government. 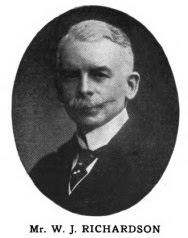 But the major financier, Thomas James Barratt, the chairman of soap manufacturer A&F Pears and "the father of modern advertising", died aged 72 in Greater London on April 28, 1914, leaving £405,564 16 shillings and six pence, not one penny of it earmarked for the Rimingtons or their projected typewriter enterprise. To top it all off, on August 4 Britain declared war on Germany. 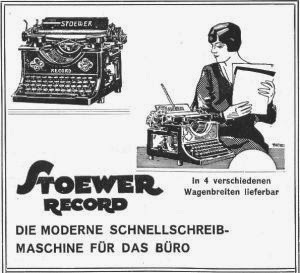 The Barratt typewriter was doomed before it ever even got off the ground. 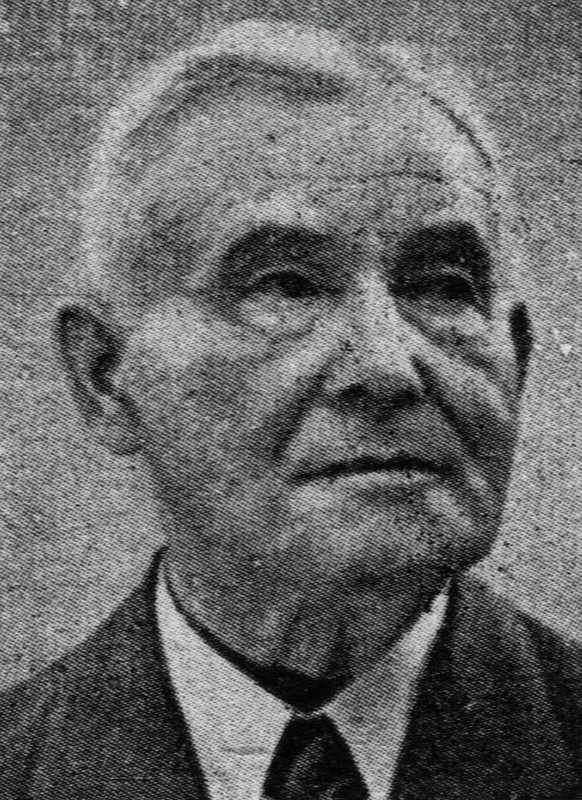 In early 1914 the Rimingtons - brothers George Garthwaite Rimington (1874-1951) and Walter Rimington (1879-1941), the sons of British Blickensderfer agent John McNay Rimington (1841-1908) - had found themselves in a very similar position to the Richardsons. 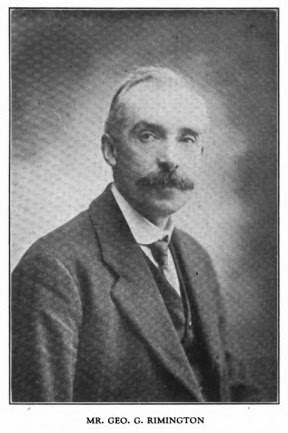 George Canfield Blickensderfer had from December 1913 increasingly leaned toward a conventional typebar machine (the Blick-Bar), and the Rimingtons saw that they too had to move with the times. Thus the arrangement with Stoewer to make its Paul Grützmann-designed standard in England, by expanding their Cheapside, London, plant further down the road. The "preliminary announcement" of the Barratt - "now in the process of manufacture" - was made in March 1915, and selling agents were called for across the globe. But that's as far as the Barratt typewriter project ever went. 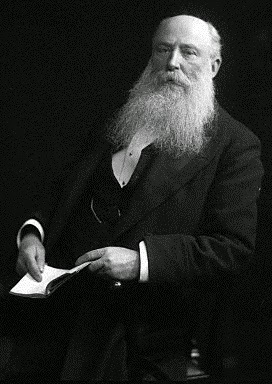 The Rimingtons instead went on to make the British Blick, the British and the British Empire, using the manufacturing facilities of George Salter and Co in West Bromwich. Good story. It reminds me of the Conqueror (ETCetera 78).